There are plenty of productivity systems a person can use to help them achieve their goals and intentions. The bullet journal is one of the most customizable, but wading through bullet journal ideas can be a little overwhelming. Today I wanted to share with you some things I’m doing to get solid bullet journal ideas and plans for the new year! Last year I decided to try something new and it completely streamlined my life. Yes… I’m talking about my beloved bullet journal. Now some people might wonder, what does a bullet journal have to do with spirituality? With self-development? Why would an intuitive life coach be SO in love with a fricking notebook?!?! I am the kind of person who makes at least one list EVERY. SINGLE. DAY. That’s why bullet journaling is so great for me – it totally focuses my list-writing desires into something that is productive and useful on a daily basis. Also, it lets my dream lists run wild! Because we’re nearing the end of the year, I thought it might be helpful to see HOW a bullet journal can be useful using REAL information, as well as what worked, and what didn’t for me. 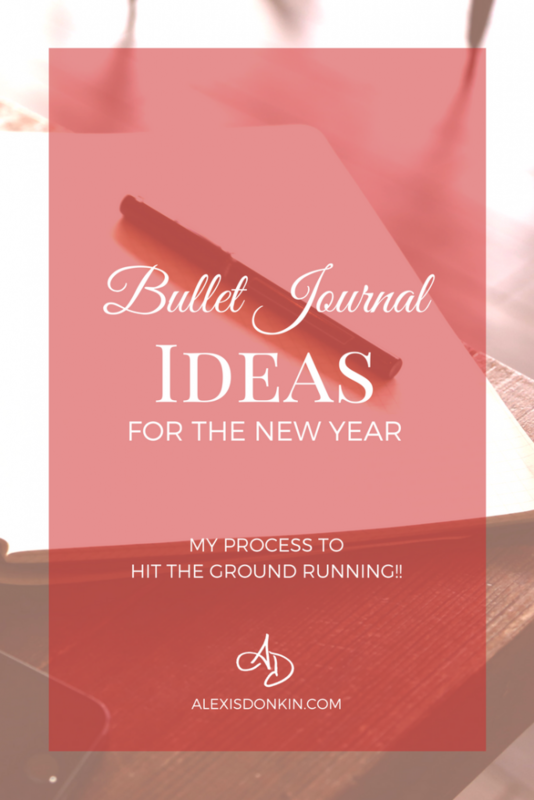 By seeing what worked for me, you’ll be able to get bullet journal ideas that can work well for you, plus get more information about what kind of plans you may need to make for your new year! Daily pages with daily task lists were relatively easy for me to do regularly because I built it into my routine. My habit tracker was also easy to keep up because I built that into my routine at the same time I wrote my daily task lists. My month at a glance page was super helpful because I could keep my monthly appointments in one place and see them easily when scheduling clients, meetings, and classes. My login list – all the websites and logins I have get REALLY super confusing, and honestly I have personal ones and business ones for some of the same sites. I needed somewhere to keep that straight and this was a really helpful way to do it! Needless to say, I love having this list easy to find and update! My intentions lists – this would have been really helpful if I formulated a plan to implement all my intentions. I DID get a number of them accomplished this year, but many others fell by the wayside. My skills lists – this was another one that I just didn’t have an implementation plan. It was a good idea, but really I needed to integrate these into my monthly and weekly plans in order to get them going. Blogging and follower goals – these I added SUPER late and totally forgot about them…so you can tell how useful they were. Again, this is a question of implementation and integration. Year at a glance – this was a nice idea and will probably be MOST helpful as an avenue for implementation and integration. For this to work well in the future, I’m going to need to plan out things IN ADVANCE. If I got sick, my habits suffered. When I went on vacation, my habits suffered. During certain times of my cycle, my habits suffered. Basically, if ANYTHING changed with my routine, my habits suffered. This means I need to come up with some plans for when those things happen. What will I do on those days? 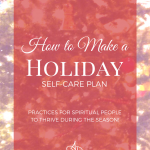 How can I continue with my practices while also honoring my physical needs? Another thing I noticed was I did not add a lot of lists and things that I wanted to add BECAUSE I was concerned about space. I wanted the journal to last the whole year (which it did) so I kept a lot of things out of it. I also noticed that once I set up my bullet journal, I didn’t make many changes in how it worked. 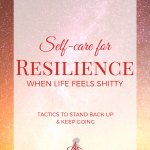 Though I could have made changes from month to month, I didn’t make many of them because it was just too much to figure out if I needed to make changes and what those changes would be. Basically, by the time the next month came, I just wanted to be able to move along. I didn’t want to have to think things through and I didn’t make time to do that. Because I didn’t like doing that, I know I need to make changes NOW when I’m planning my next year’s journal (which is a really helpful thing to know!). I intend to integrate my intentions lists into my monthly and yearly at a glance pages. Also I plan to track and integrate my business goals in my bullet journal. I will also track my finances in my bullet journal – at least at a glance numbers to have an idea of where I stand at all times as well as notice trends. 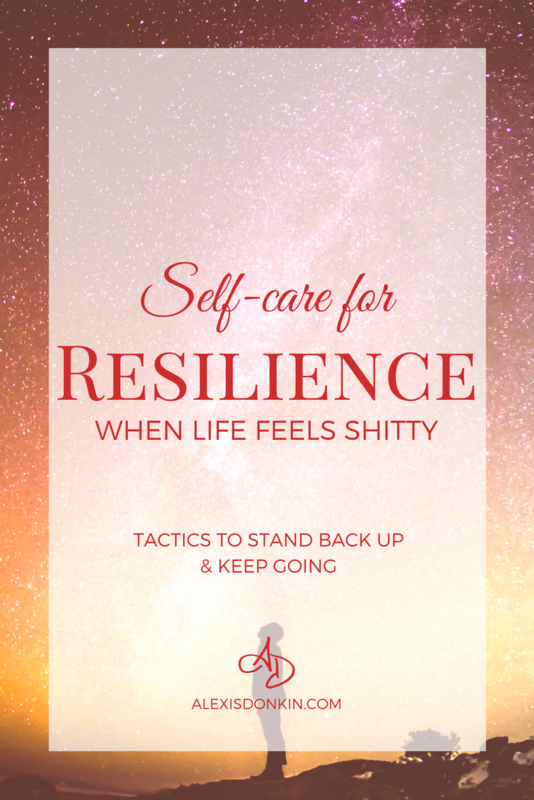 To address my need for additional tracking – specifically manifesting, appreciations, and spiritual insights, I have a second journal that will be SOLELY devoted to these things. I like the idea of being able to compare and contrast the two and keeping these things while allowing them to be separate. Honestly, I have so much more information this year, I’m ready to plan out EVERYTHING for my new year’s bullet journal and I am SO EXCITED! Because I know exactly what I want to include, how many pages I want to set aside for each thing, I can literally decide everything in advance and do all the preparation in advance starting now. And this benefits you in a big way. 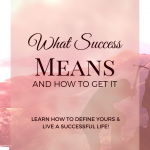 It benefits you because I’m going to share it all in my workshop on December 28 at 10 AM Pacific. I’ll break down exactly what you need to know about every aspect of bullet journaling, how to plan things out, and decide what will best benefit your intentions for your new year. 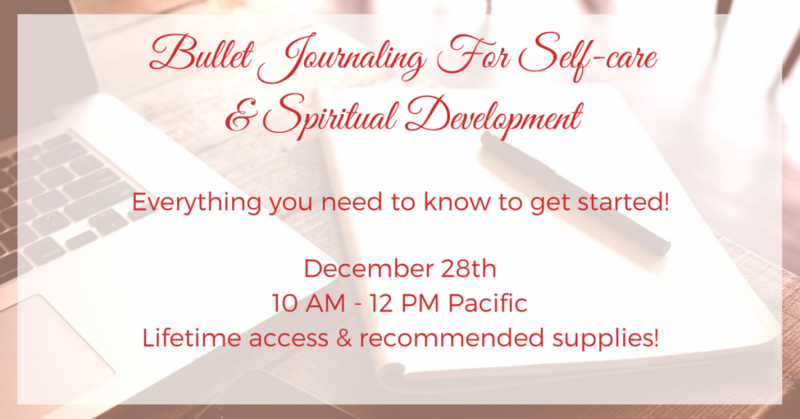 We’ll also talk about supplies you may prefer and why, plus go over any specific ways this can help you with your self-development and spiritual goals. And it’s a total STEAL! You’ll get lifetime access to all the info and be able to implement it all this year to hit the ground running! If this is at all interesting to you, click this link to secure your spot and then request to join the group here for access!